Lifts off makeup and dirt while soothing and nourishing the skin. 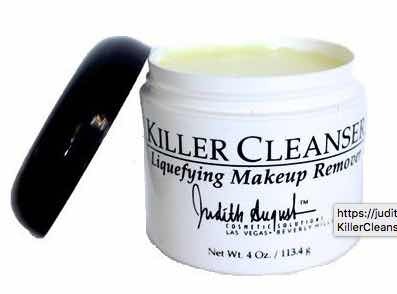 Helps soften mascara and removes waterproof makeup quickly and efficiently. Skin looks refreshed and smooth. This formula contains Aloe Vera, Jojoba Oil, and Vitamin E. Blends and melts into skin effortlessly and can also be used as an allover body creme to moisturize dry skin! Product Ingredients: Aloe Barbadensis Leaf, Petrolatum, Purified Water, Mineral Oil, Laureth-4, Simmondsia Chinensis (Jojoba) Seed Oil, Prunus Avium (Sweet Cherry) Seed Oil, Paraffin, Cetyl Alcohol, Diazolidinyl Urea, Methylparaben, Fragrance, Propyparaben, Tocopherol, Yellow 5.